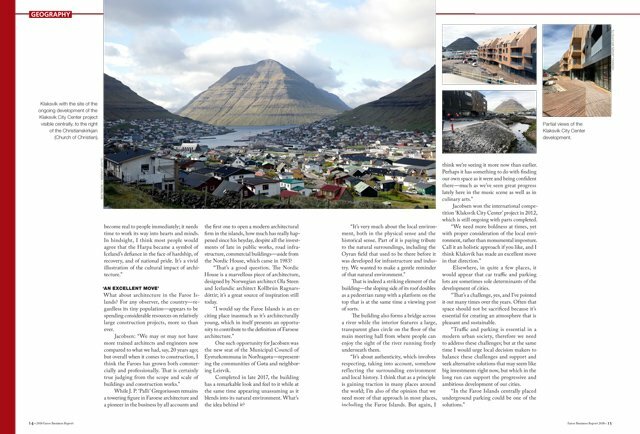 Architecture in the Faroe Islands could be experiencing an upturn in tandem with trends in other areas, notably music and food, where respecting one’s own cultural heritage and geographical identity is fast becoming a major factor—an interview with Ósbjørn Jacobsen of Henning Larsen Architects. 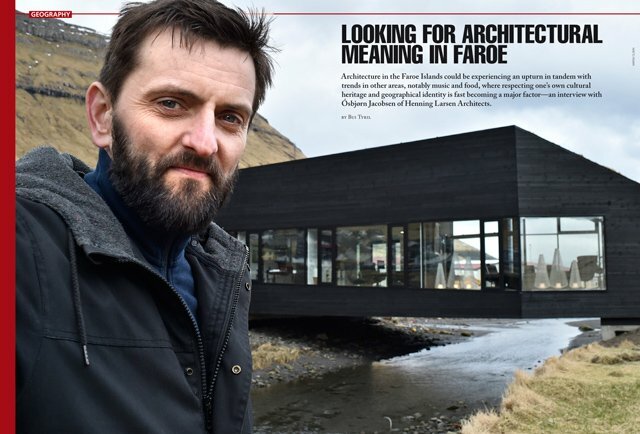 In 2013, Faroese architect Ósbjørn Jacobsen returned to his native Gøta to set up his architectural firm in partnership with his former employer, Henning Larsen Architects. 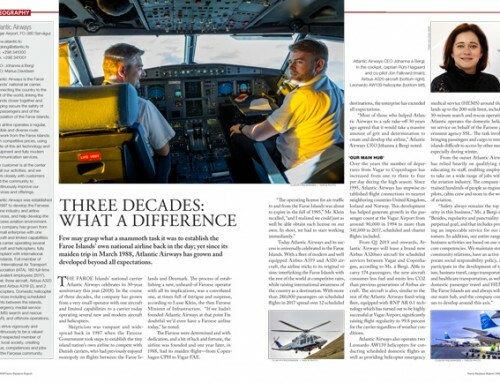 His office has been busy from day one, having had five to six architects in place at any time since opening, including a total 15-20 interns, from every corner of the world. 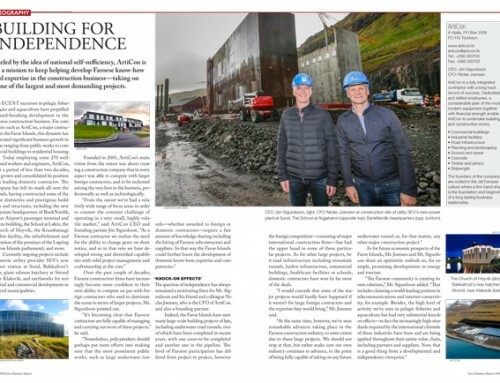 Jacobsen had a leading role on behalf of Henning Larsen Architects as architectural manager of Iceland’s milestone project a few years ago—Harpa Reykjavík Concert Hall and Conference Centre—and at the same time he had a supervising role on the Reykjavík University. Both projects have earned international acclaim, the Harpa winning, for example, the European Union Prize for Contemporary Architecture—Mies van der Rohe Award 2013. Five years on, in February 2018, the Architectural Digest magazine ranked it first of the ‘10 Best Designed Buildings in the World From Top Architects’. Henning Larsen Architects have offices in Copenhagen, Munich, New York, Riyadh, Oslo, Hong Kong and, yes, the Faroe Islands. Jacobsen has no plans of slowing down, regardless of what some would consider the odd location of his base. He views it in a slightly different light. “I think one of the essential strengths of Nordic architecture is its inclination toward what you may call a blend of localism and internationalism,” he said. And yet great works of architecture are frequently met with equally great residence—in the period prior to a wider recognition of their greatness, that is. Harpa and Reykjavík University, both building projects ongoing in the midst of Iceland’s economic meltdown in 2008, were no exceptions to the rule. What about architecture in the Faroe Islands? For any observer, the country—regardless its tiny population—appears to be spending considerable resources on relatively large construction projects, more so than ever. 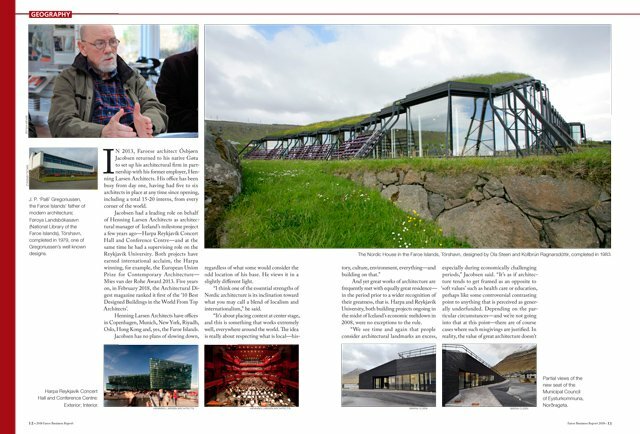 While J. P. ‘Palli’ Gregoriussen remains a towering figure in Faroese architecture and a pioneer in the business by all accounts and the first one to open a modern architectural firm in the islands, how much has really happened since his heyday, despite all the investments of late in public works, road infrastructure, commercial buildings—aside from the Nordic House, which came in 1983? “That’s a good question. The Nordic House is a marvellous piece of architecture, designed by Norwegian architect Ola Steen and Icelandic architect Kollbrún Ragnarsdóttir; it’s a great source of inspiration still today. 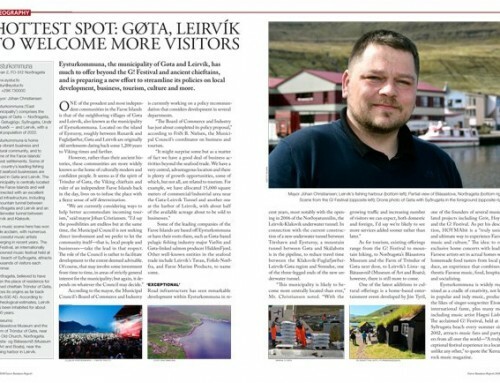 One such opportunity for Jacobsen was the new seat of the Municipal Council of Eysturkommuna in Norðragøta—representing the communities of Gøta and neighboring Leirvík. Completed in late 2017, the building has a remarkable look and feel to it while at the same time appearing unassuming as it blends into its natural environment. What’s the idea behind it? That is indeed a striking element of the building—the sloping side of its roof doubles as a pedestrian ramp with a platform on the top that is at the same time a viewing post of sorts. The building also forms a bridge across a river while the interior features a large, transparent glass circle on the floor of the main meeting hall from where people can enjoy the sight of the river running freely underneath them. Jacobsen won the international competition ‘Klaksvík City Center’ project in 2012, which is still ongoing with parts completed. Elsewhere, in quite a few places, it would appear that car traffic and parking lots are sometimes sole determinants of the development of cities. “That’s a challenge, yes, and I’ve pointed it out many times over the years. Often that space should not be sacrificed because it’s essential for creating an atmosphere that is pleasant and sustainable. 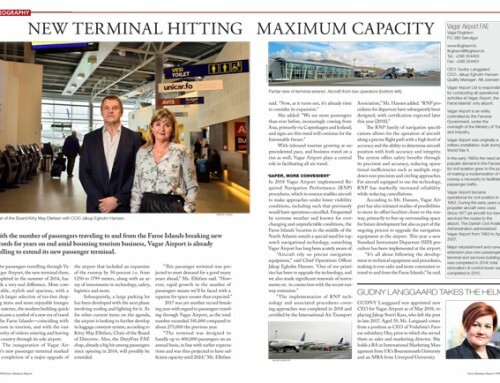 “Traffic and parking is essential in a modern urban society, therefore we need to address these challenges; but at the same time I would urge local decision makers to balance these challenges and support and seek alternative solutions that may seem like big investments right now, but which in the long run can support the progressive and ambitious development of our cities.